Homebase landlords have gifted the stricken DIY chain a much-needed lifeline and rescued it from the brink of collapse. In a make-or-break vote on Friday, 96 per cent of creditors green lit the DIY chain’s proposals to close 42 shops through a company voluntary arrangement. It also means Homebase will secure rent reductions of between 25 and 90 per cent on 70 of its shops, better lease terms and temporarily discounted business rates through the restructuring. The store closures to be carried out during late 2018 and early 2019 are expected to lead to around 1,500 redundancies. Failure to secure the backing of landlords today would have been disastrous for the DIY chain and left the future of its 241 shops and 11,000 employees hanging in the balance. But support for the rescue deal was is doubt amid reports that a group of landlords were preparing to mount a legal challenge against it. There is now a 28-day challenge period in which landlords could still contest the outcome of today’s vote. 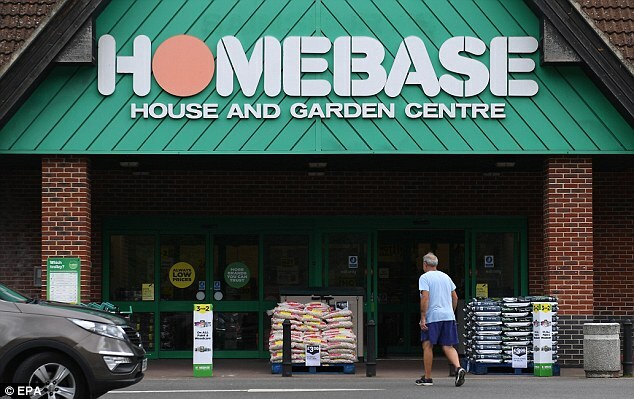 Homebase is in dire straits after two years under the wing of Australian giant Wesfarmers, which bought the chain for £340million in 2016. 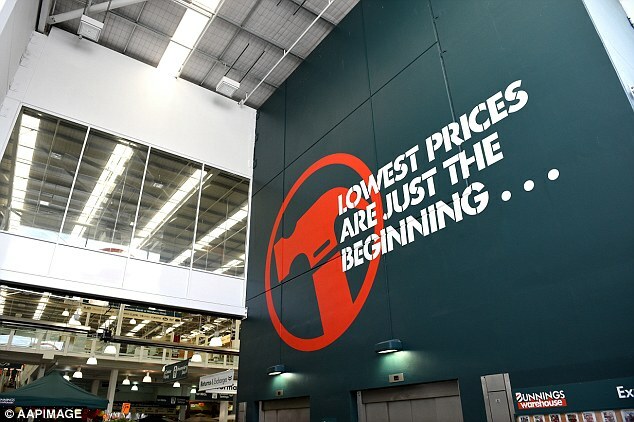 Wesfarmers alienated Homebase’s loyal customers by stripping out home furnishings and attempting to rebrand as Bunnings – a popular chain in Australia and New Zealand. After swallowing a £794million write-off, Wesfarmers handed Homebase to Hilco for £1 in May this year. Today’s CVA approval means that Homebase’s new private equity owner, which also backs HMV, will invest £25million in the chain’s turnaround. High Court documents seen by the Mail earlier this week laid bare the state of Homebase’s finances. It emerged that, prior to the restructuring, it owed more than £1billion to employees, landlords, suppliers and other creditors, and that 70 per cent of its stores were loss-making. Today’s vote gives Homebase an opportunity to turn its fortunes around. This is Money understands that, with its property costs eased, the firm will attempt to restore its reputation as a destination for home improvement and decoration, and invite back former concession partners, such as Habitat, Laura Ashley and Carpetright. It has already closed 16 stores since February and has axed 303 jobs at its head office in Milton Keynes. Which 42 Homebase stores will be closed? Boss Damian McGloughlin, who joined Homebase last year after more than three decades working for its rival B&Q, will steer the turnaround. Today, he said: ‘We are pleased that an overwhelming majority of our creditors, including such a proportion of landlords, have supported the plans laid out in the CVA. ‘We now have the platform to turn the business around and return to profitability. This has been a difficult time for many of our team members and I am very grateful for their continued support and hard work. Homebase is the latest in a string of embattled retailers, including Carpetright, New Look and Mothercare, to launch a CVA. The a-la-mode restructuring strategy can stir controversy, particularly among landlords who tend to shoulder most of the cost. Some claim the process is being abused by retailers. Last month, a group of disgruntled landlords filed a legal challenge against House of Fraser’s planned CVA. The claim was settled before the department store chain fell into administration and was subsequently picked up for £90million by Sports Direct.